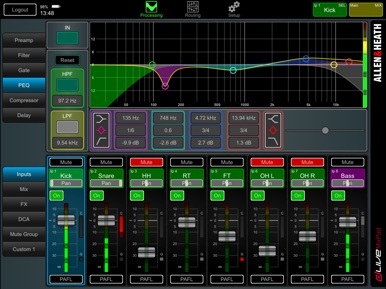 dLive MixPad is an engineer’s mixing tool providing wireless mobile control for the Allen & Heath dLive digital mixing system. It gives you the freedom to walk the room or stage and control the sound right where it is needed. 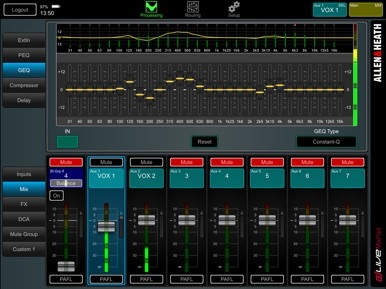 dLive MixPad and the dLive Surface can work together to provide simultaneous control of independent functions, for example one engineer using the Surface to mix front-of-house sound, and another using the iPad to mix monitors on stage. 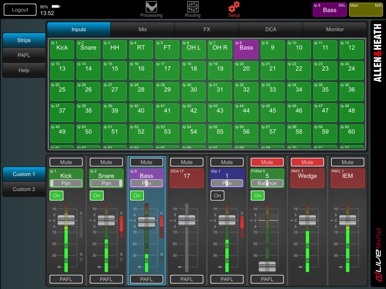 Several iPads can be connected, each providing independent control. 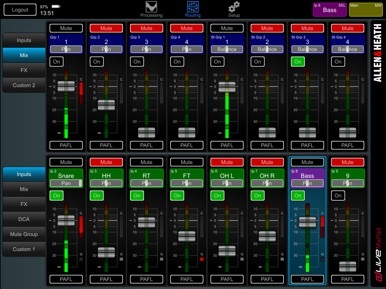 An Allen & Heath dLive mixing system running V1.70 or higher version firmware, with a suitable wireless router or access point connected to one of its Network ports. The dLive system firmware and MixPad maintenance version number do not need to be identical, for example MixPad V1.70 would run with dLive V1.71. 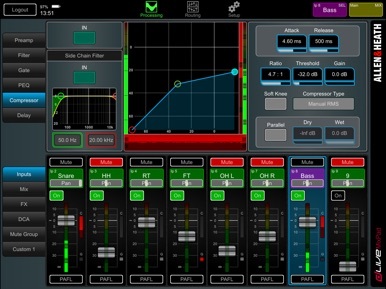 Refer to the Allen & Heath website for more information and to download the latest system firmware.